The always-innovative and always-fun Napa Valley Wine Train is offering something new and different for Valentine's Day 2011. It's officially opening a pedestrian bridge connecting the Wine Train Station with the boarding platform as a Love Lock Bridge. This means that couples can take a simple padlock decorated with their names, initials, or a special date and affix it to the bridge fence. Once the lock is locked, the key can then be discarded into the abyss (or in this case the swale below the bridge) or saved as a keepsake. According to Wikipedia, love padlocks are “a custom by which sweethearts affix padlocks to a fence…to symbolize their love." Traditionally, bridge railings have been the most common place of affixiation (if such a word exists; I may have made it up). The custom probably originated in China, but is now known around the world. If you want to affix love locks with your honey, reserve seats on either the Vista Dome or Gourmet Express. The special Valentine Day trains run from February 11-14 and include chocolate, a glass of sparkling wine, and strolling musicians. 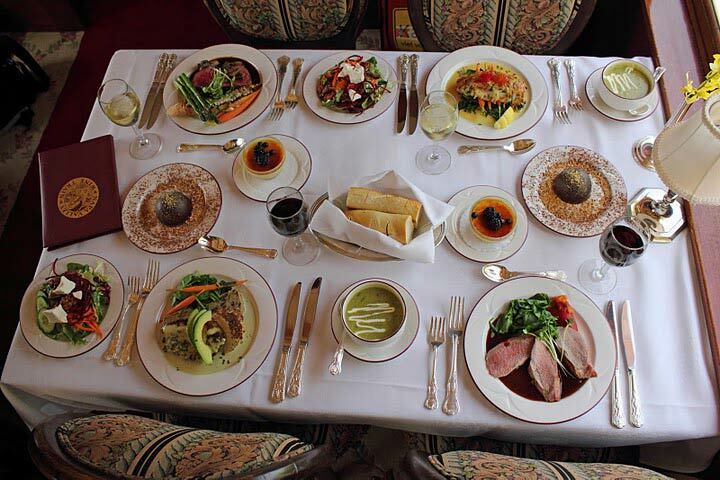 The cost: $109 per person for the Gourmet Express Car and $139 for the Vista Dome Car. 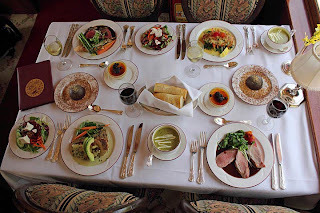 The Love Train Lunch on February 14 varies from $109 per to $154 per person. Thanks to Napa Valley Wine Train for the images. I'm always learning something new from your articles, Suzie. I actually never knew about love padlocks! Gosh, it's been a long time since I was on the Napa Valley Wine Train. It was for another romantic occasion - our tickets were a wedding gift! Loved the experience - must do it again.